Plank for a strong core! Strengthen the many layers of your core musculature by adding Planks into your fitness routine. From a prone position, place your forearms on the floor with your elbows directly below your shoulders. Tuck your toes under and lift your body up off of the floor so your body is parallel to the floor. Pull your shoulders down into your body. Pull your belly button up. Tuck your chin into your chest to maintain spinal alignment. Alternate lifting your right foot, then your left foot up of the floor. Lift and hold one leg up off the floor. Perform a plank with your hands on the floor instead of your forearms. *Always consult a physician before beginning exercise. Working out at a gym or at home? How do you know what’s the best and most effective venue for you? Here are three major pro’s and con’s of working out a gym, as well as expert tips to get your best workout and pitfalls to avoid. 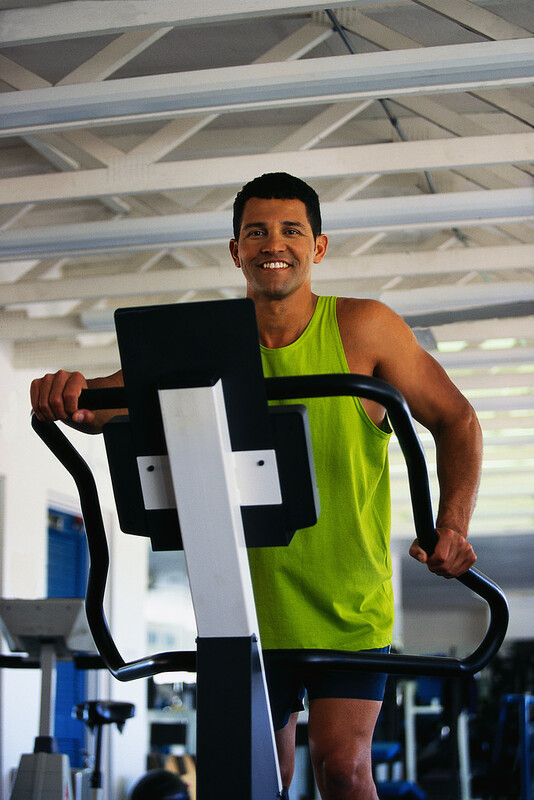 If you are outgoing and love group exercise, the gym might be right for you. Most gyms have a variety of group exercise classes you can choose from that will challenge you and keep your muscles guessing! Bring a friend and try out a class together! It is a fact that most people who participate in group exercise stick it out longer than going it alone. Pitfall to avoid: Sometimes, classes can fill up quickly and be too crowded. So you may have to go early to ensure you have a spot. It is also harder for the instructor to stay on top of everyone’s form/technique in a larger class. So ensure you listen really well to what he or she has to say when it comes to performing the moves safely and correctly. There are plenty of machines and equipment at your disposal to incorporate into a variety of workouts. Be sure to learn how to use equipment correctly by enlisting the help of a personal trainers there who can show you if you feel overwhelmed. Don’t be afraid to ask questions! They are there to help! Con: Again, sometimes gyms can be overcrowded, especially before or after regular 9-5 work hours. 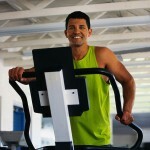 It can be hard to get on the machine you want, or use the equipment you want in a timely fashion. Instead of waiting for a machine, keep moving and ensure you are flexible enough to pick another exercise instead to keep your heart rate up and your muscles moving. Going to the gym usually offers less distraction to get your workout done. You are going there for the purpose of attending a class or doing a workout on your own. Challenge: Getting to the gym can be half the battle. It’s easy to make excuses and choose to sit at home on the couch! However, this is bad for the pocketbook! You are now paying monthly for a service you are not using! Joining with a friend can help, as they may make you more accountable. However on the flip side if you have a lot of friends at the gym, it can turn into more of a social hour and you spend more time talking than actually working out. Picking a class can help you avoid this.